It must be hard enough to write, direct, and star in a film at the best of times, so I can only imagine how difficult it must have been for Alice Lowe to do all these things while heavily pregnant. Prevenge has a simple but interesting premise. Ruth, a pregnant women, is convinced her unborn child is not only speaking to her, but requesting her to commit a string of murders. In between these episodes there are trips to the see the midwife and walks around town, in what would otherwise be a normal existence. 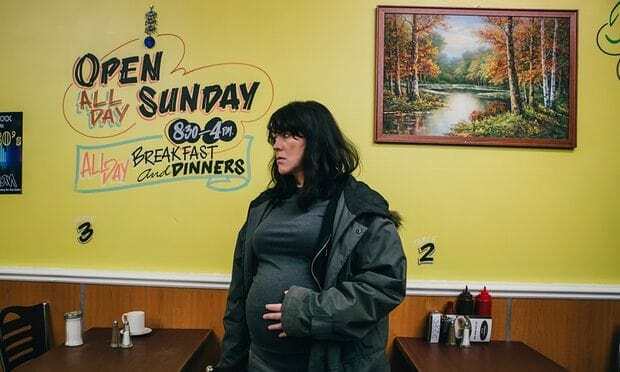 Prevenge marks Alice Lowe’s directorial debut, though she does have previous writing credits, most notably for Sightseers, which in the end was directed by Ben Wheatley. There are number of similarities between the two films, and there is definitely a shared comic sensibility, with the everyday and mundane blended with the violent and horrific. Despite a couple amusing lines and a standout cameo from Tom Davis as Dan the local pub DJ, I found laughs difficult to come by. The jokes quickly start to feel repetitive, and either seem to be crude or bloodied. This is not to say that this mixture of tropes and styles cannot work, as Edgar Wright has consistently shown that a balance between moments of violence and vulgarity can be found. Wright’s films, though, work because there are relatable characters and compelling storylines that keep the audience engaged within there more dramatic moments. In contrast Prevenge merely seems to stumble from one innuendo or blood splattered corpse to another with nothing to give reason to these otherwise pointless murders. The lack of dramatic content makes the film feel like a comedy sketch or short drawn out to a feature length. There is the sense of an idea stretched beyond its logical conclusion, with each throat slash more tiresome than its predecessor. Without convincing motives and a well-constructed story there is nothing holding events together between the inconsistent laughs. In truth, I can see people finding Prevenge funny, like they found Sightseers funny, and I will openly admit that this very particularly style of comedy is not for me, but I cannot see what else will hold their attention. Prevenge is not completely without merit and there are some intriguing elements to it, the most interesting of which being its reflections on maternal guilt and the feelings of regret felt during and after pregnancy. The murders can in this sense be seen as a metaphor for regrets taken out of proportion during this period. The pressures on women to be the ‘perfect mother’ mean that small mistakes can feel disastrous and as criminal as killing. I’d have liked the film to have delved into these ideas more as it would have given a motive to the otherwise meaningless murders. Ultimately, your enjoyment of Prevenge is going to be reliant on whether you find it funny, as otherwise there will be little to hold your attention. If you enjoyed Sightseers there is all likeliness that you will enjoy Alice Lowe’s directorial debut as well. For me I struggled to find Prevenge funny and as a result found it even harder to enjoy the film as a whole. Prevenge is in cinemas from Friday 10th February.